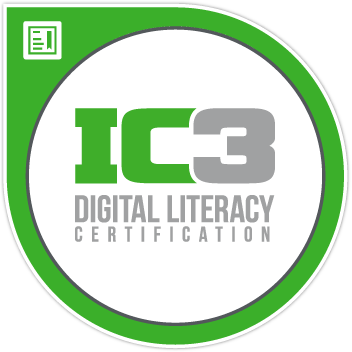 The IC3 Digital Literacy (IC3) Certification is comprised of three individual examinations: Computing Fundamentals, Key Applications, and Living Online. 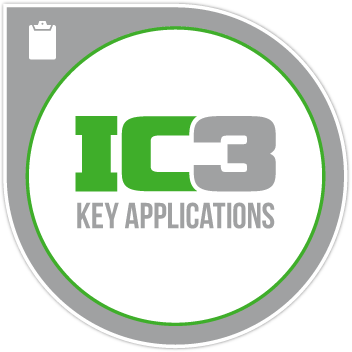 This bundle includes vouchers that will enable you to sit the three exams required to become IC3 certified. Because technology is constantly changing IC3 Global Standard 5 (GS5) reflects the most current versions and relevant skills required for students and business. This bundle includes exam vouchers for each of the three exams. Each voucher is used to take one exam at a Certiport Authorized Testing Center.